Article in the American Cowboy May/June 2003 written by William Manns. Li Po Tai was a well known Chinese doctor in San Francisco with many well known and prominent citizens seeking his medical help. 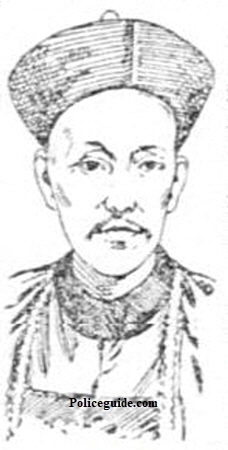 Despite his reputation and good name he was familiar with the discrimination being exhibited towards the Chinese. It is probable that Marshal Sexton treated him fairly and protected him from some false complaint. 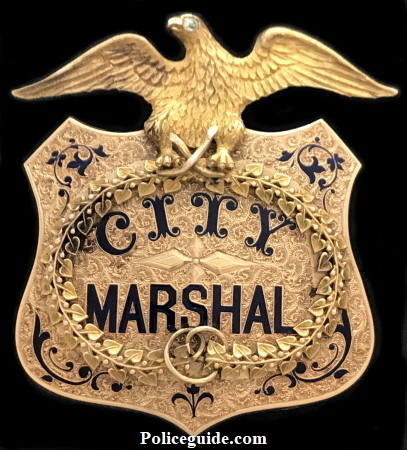 The badge was no doubt fashioned by a San Francisco jeweler and the spelling of the Marshal’s name was incorrect, possibly due to the jeweler not hearing the name correctly when spoken with a Chinese accent. Morphy Auction description: Jeweler made, composed of two tones of solid gold, finely engraved with detailed spiraling scrolls with blue-enameled scroll highlights. 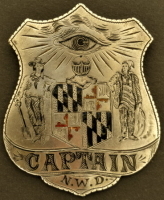 Shield-shaped with blue "CITY/MARSHAL" enameled in center, surrounded by a relief applied wreath of leaves with a detailed eagle perched on top, head turned to the left and inlaid with a diamond eye. 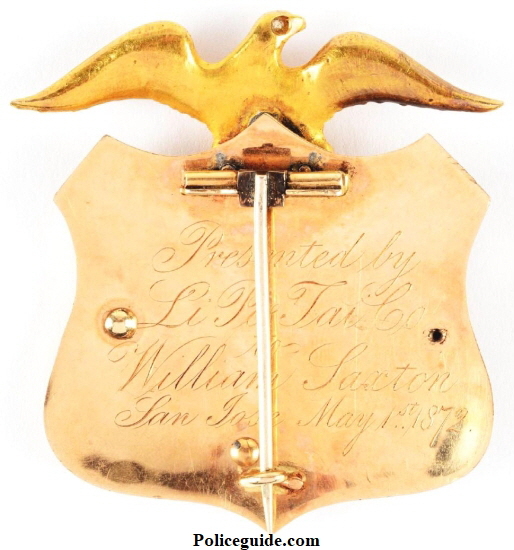 The back is inscribed "Presented by Li Po Tai Co/to/William Saxton(Sic)/San Jose May 1st, 1872". Solid large gold single pin runs vertically. Measuring 2-1/8" wide by 2-1/2" high. 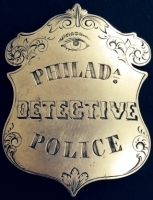 Weighs 2.25 ounces, solid gold. 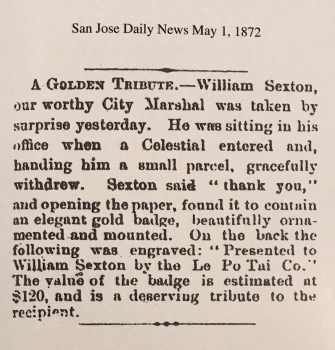 Presented by Li Po Tai Co.
William Sexton, California Pioneer who served as Sheriff of Placer County before moving to San Jose where he served as City Marshal. The people of Placer County elected Wm. Sexton as their Sheriff and then elected him to the California State Legislature for the 1965-66 Session. 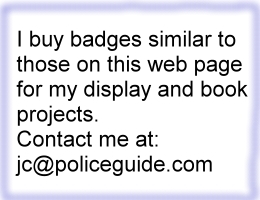 He then moved to San Jose and was elected City Marshal.